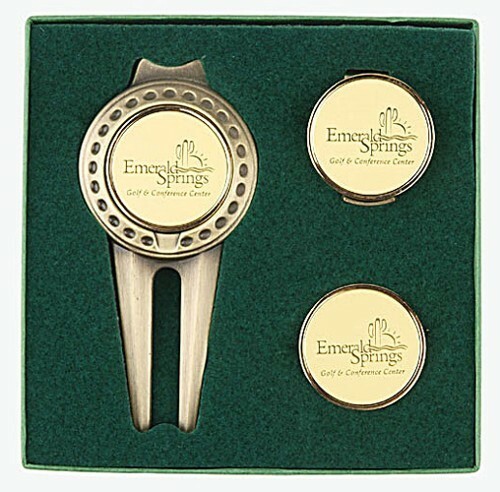 Three piece ensemble including: Tour Green Repair Tool, Magnetic Ball Marker Hat Clip with 3 extra 1.00" ball markers. Each can be decorated with our full color or tone-on-tone etch imprint. Ideal for multi-branding or co-sponsorship. Gift box included. Antique brass or silver.